Gobind Is Trying To Save His Wife, Who Cannot Even Recognize Him. “When my wife started forgetting little things in the house, I thought she might just be distracted. Within a month, she could not remember if she had eaten in the last 2 days. Slowly, she forgot our relatives. 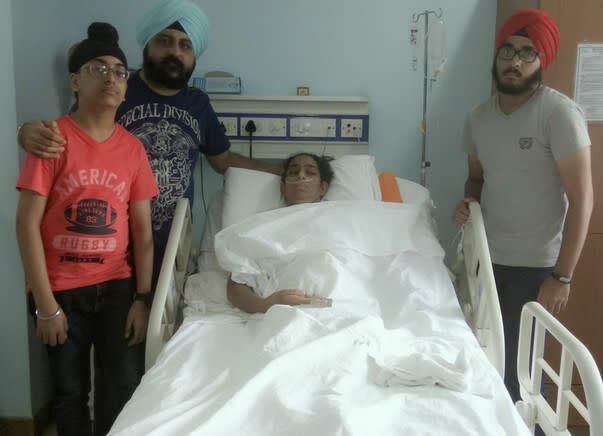 Gradually, she lost the ability to talk, and today she cannot remember me or our 2 sons,” 42-year-old Gobind recalls when his wife Maninder’s ordeal began. Maninder has been admitted to the hospital since 19th January 2017. 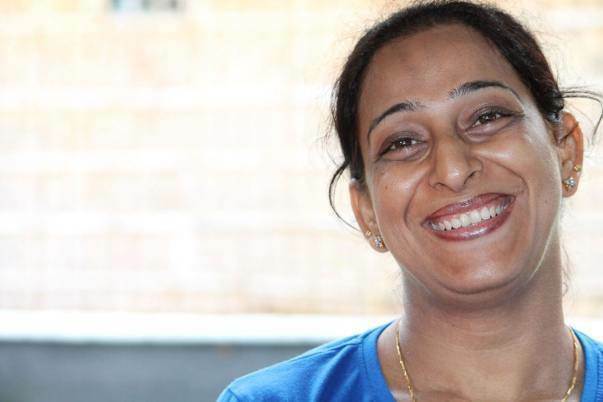 Her husband, Gobind, who had to quit his job, has done everything in his capacity. Through the financial support of many individuals, he has managed to keep her alive and look after her medical needs in the hospital. 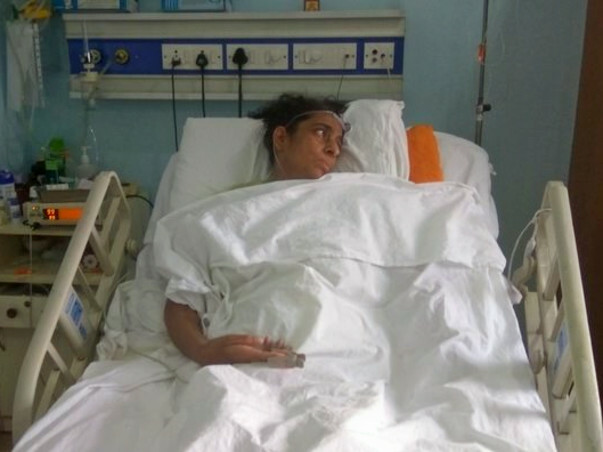 Now, after spending over a year in the hospital, Maninder needs more treatment to recover. Maninder, a happy-go-lucky 42-year-old woman, suddenly started forgetting little things. The little slips soon became very frequent. With time, she began to forget more and more. Slowly, she could not recognize her relatives and friends. One day, her hand started to tremble unexplainably, and she was experiencing slurred speech. Gobind took her to the hospital as soon as he realized something was not right. Whenever she does open her eyes, Maninder is unable to speak and doesn’t recognize her husband, Gobind, and 2 of her sons. She doesn’t know where she is and doesn’t listen to anyone. In January 2017, Maninder, herself, walked to the hospital, besides her husband. Soon after, she was unconscious and was unable to move. Her condition has worsened but it’s crucial to keep her in the hospital and get her the treatments to prevent further progression. Ever since she was admitted, Gobind has got every possible test conducted on his wife. Countless blood tests, scans, and reports were clear and revealed absolutely nothing about her condition. Her spinal fluid was tested thrice, her blood plasma was changed 5 times, but there was still no diagnosis. Some doctors thought that she might be suffering from an Autoimmune disease. For this, she had to undergo an IVIG treatment for 5 days which cost Gobind over Rs. 10 lakhs. This had no effect. Later, a brain biopsy was done to detect a tumor, but the reports were clear. An MRI scan revealed an atrophy in her brain, but they’re still unable to detect why. All these tests and scans have cost Gobind a fortune, and have exhausted his resources completely. Just to find out what has happened to his wife, Gobind used his resources and showed countless test reports to countless Neurosurgeons, in India and in countries like USA, U.K. and Australia. Still, he has no answer and feels as if he’s back to square one. 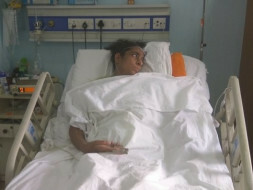 Maninder needs to be kept in the hospital until a concrete diagnosis is available. 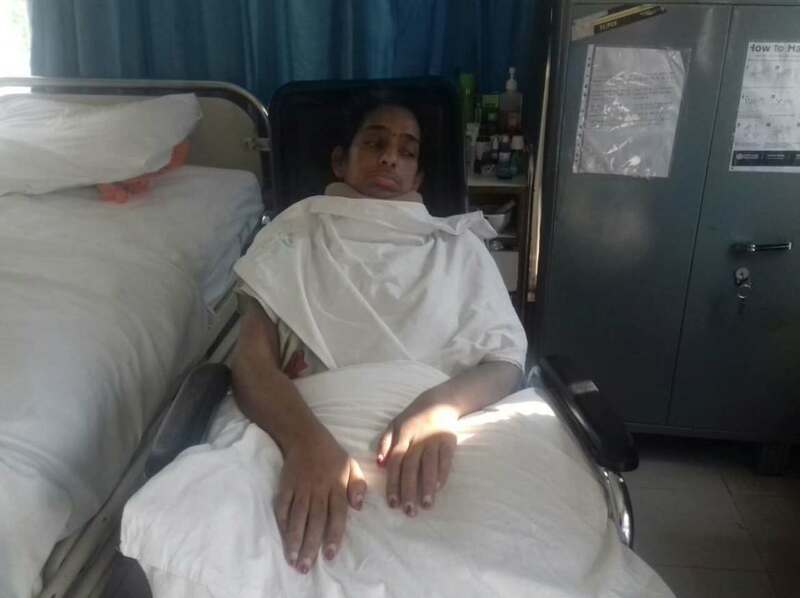 Extremely complicated and critical, Maninder’s disease is worsening every day, and her treatment cannot be paused even for a day. Her length of stay in unpredicted and she needs physiotherapy too. 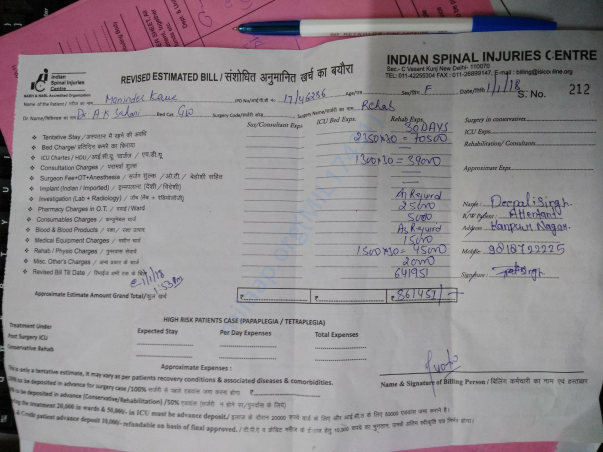 Maninder’s treatment and hospital bills amount to Rs. 2 lakh every month. 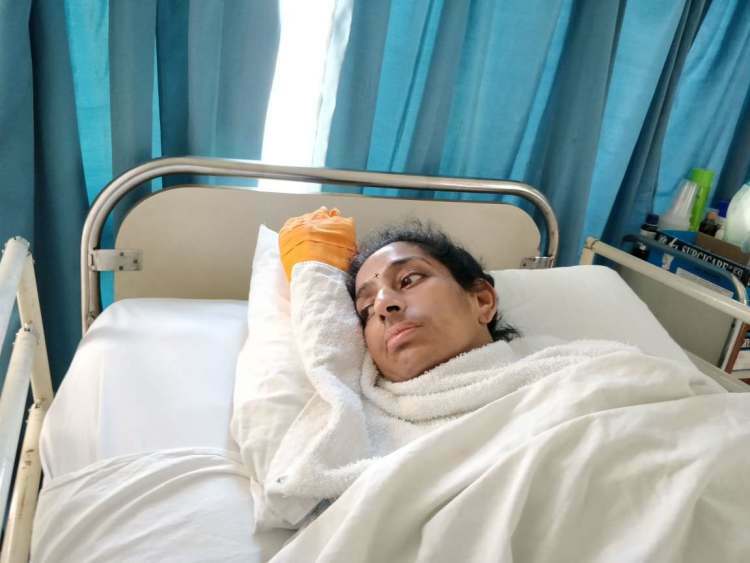 After quitting his job to be by her side every minute, Gobind has reached out to friends, family, ex-colleagues and even some doctors for help. 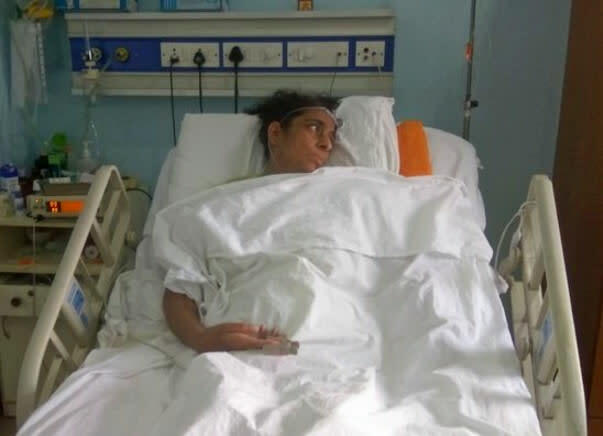 He has expended all his financial resources and is in dire need of help to keep Maninder’s treatments on-going. 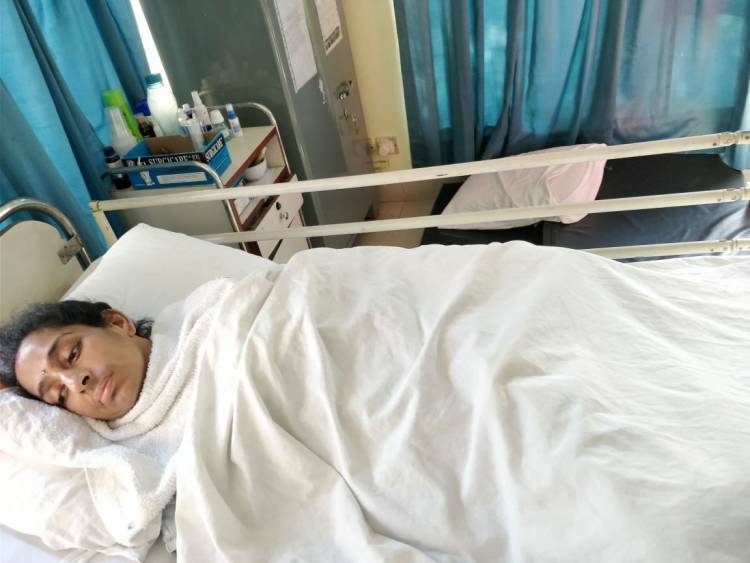 While doctors everywhere are still trying to figure out Maninder’s disease, Gobind still needs funds to keep Maninder’s seizures and infections in check, while conducting further tests and examinations. He needs financial assistance every month to keep his wife alive in the hospital. Your contribution could keep Maninder alive. 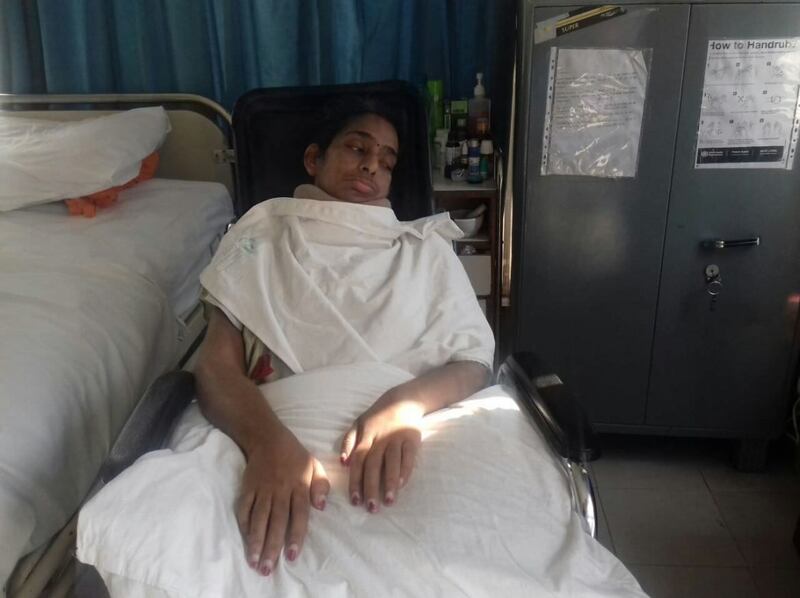 Maninder's condition is still the same as earlier, she was discharged from the hospital and her family is taking her care at home. Doctors were unable to find a diagnosis for her and the family ran out funds to keep her at the hospital. As of now, she is kept on a liquid diet and remain inactive most of the time. It's tough for her husband and her kids to see her in this state. The family thanks everyone who has contributed towards the campaign and helped them in the toughest time of their life. Here is a quick update on Maninder. Currently, Maninder is in the hospital undergoing treatment. She has been in the hospital for more than two months. She is able to open her eyes. She is not responding when the family calls her by her name.She has a long way to go for her recovery. Thank you for your support and love extended to Maninder and her family. Please do keep her in your prayers. Maninder's health is better. She is currently undergoing rehab buy has not gained consciousness yet. She is still admitted to the hospital. Thank you for all the support you have shown her. Please keep her in your prayers and we hope she recovers soon. Get well soon, my prayer are with you..! !